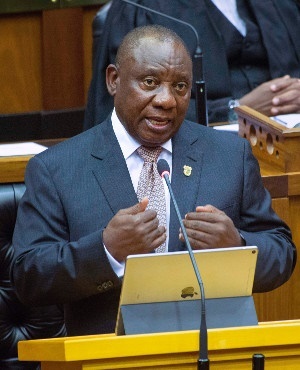 Ramaphosa was responding to a question during a Twitter Q&A session on Monday evening, where he fielded wide-ranging questions from young people - with some addressing him as Bra Yaka, slang for 'my brother', and others using #HolaMatamela, meaning 'hello Matamela' (the president's second name). "We must admit that we’ve made tremendous progress in the public sector as far as transformation is concerned," Ramaphosa said. "We will be seeking to hasten the pace of transformation in the private sector through the laws we’ve already put in place," said Ramaphosa. "The NYDA is a structure that was requested & demanded by young people. It’s been set up and it is working wonders for the young people it has been able to reach," responded Ramaphosa. Young people are the hardest hit by the country’s high unemployment rate, which is placed at 27.5%. The expanded unemployment rate - that is, the figure which includes those who have given up looking for jobs - is even higher.